I love chatting with other entrepreneurs. It’s great to hear their vision and insights into their journeys. I’ve even got a little Basecamp group for small community of Dubai based entrepreneurs. Some are still at the very fledgling stages and working full time with a side hustle, whilst others are well down the track and have already received funding. Wherever they happen to be, you always get a fresh perspective on things. I’ve had two chats recently that really stand out. The first was with Thea from Teachmenow. She started her company filling a gap between tutors and students. Taking away the hassle of scheduling, payments and reviews. A great concept. I was so impressed by the amount of media attention that they’ve received. She sat down with me for more than an hour, and gave me many valuable tips on how to achieve this. If you see Capytech in the press anytime soon, then it’s all down to Thea’s great advice! 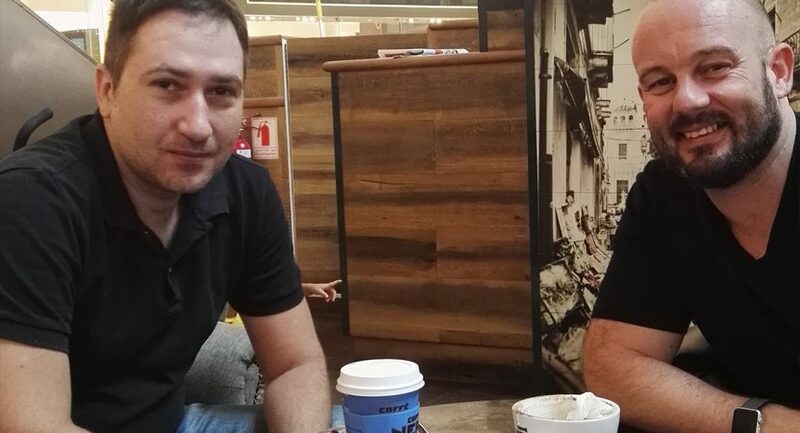 A few weeks back I had coffee with Rami from Hadzup. His company is also based here in the UAE, and he develops apps and other complex solutions for businesses out here. It’s always great to chat to someone with a technical background like him. With all the challenges and grind of being an entrepreneur, it’s great to chat with people who have likely been in the exact same position. If you’re ever feeling overwhelmed or out of your depth, I’m sure you can find someone that can help. Get in touch if you want to chat!